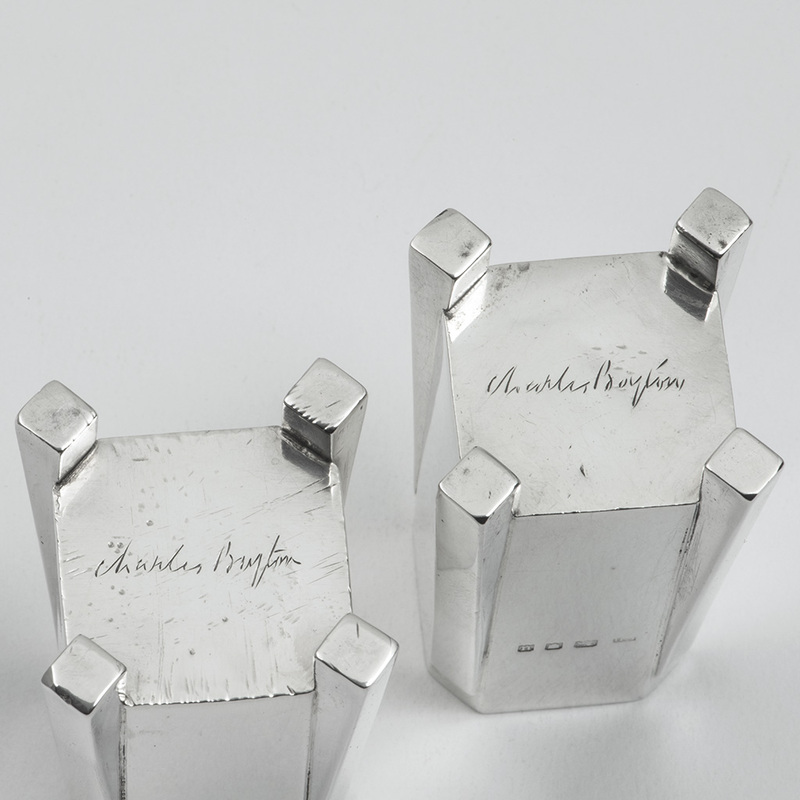 A three piece Art Deco silver Condiment Set with a Sugar Caster in the same tapering squared pattern, London 1935 and 1936, each piece with Boyton’s signature engraved underneath. 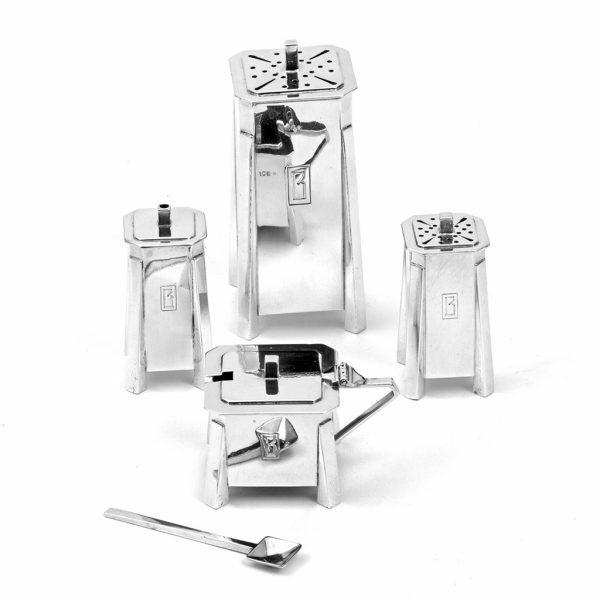 All of the pieces are engraved with a ‘B’. Good overall with some surface marking from condiment stains and some scratching to the surface on the underside of one piece. 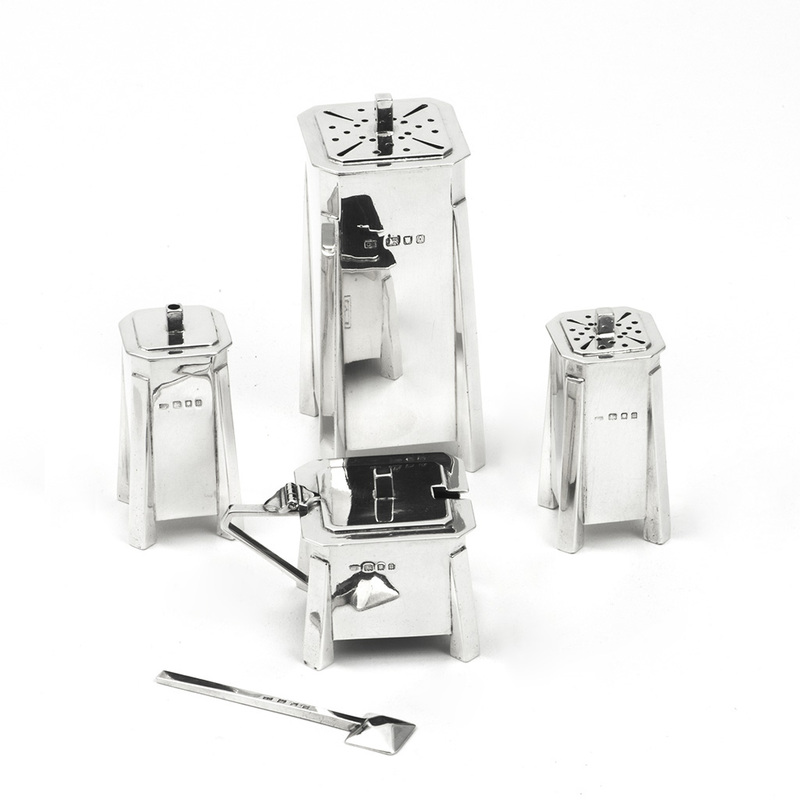 The Caster – 11.20 cm. high; 5 cm. 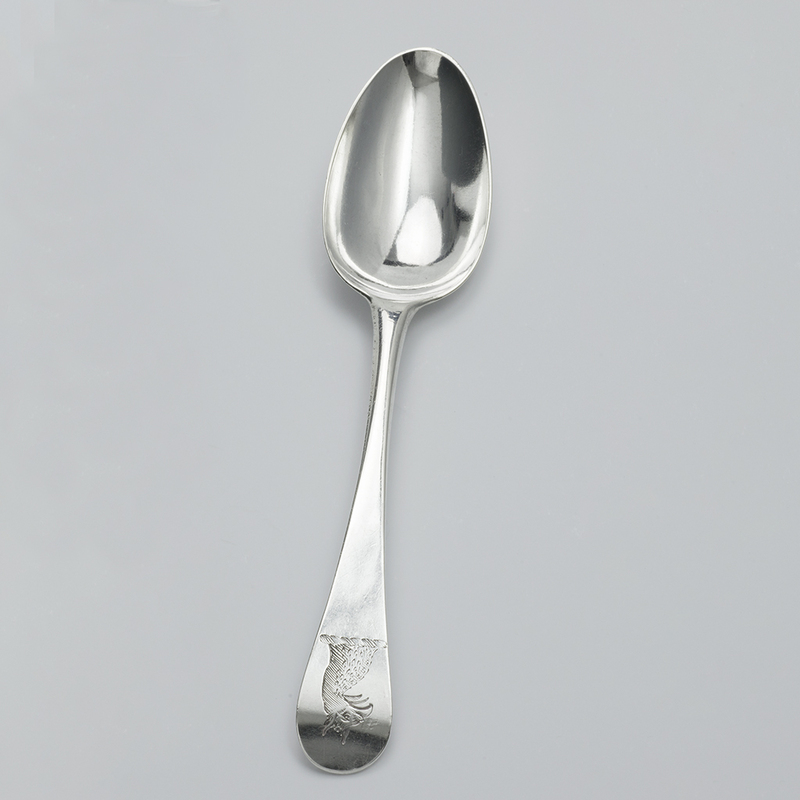 wide and 5 cm. deep. 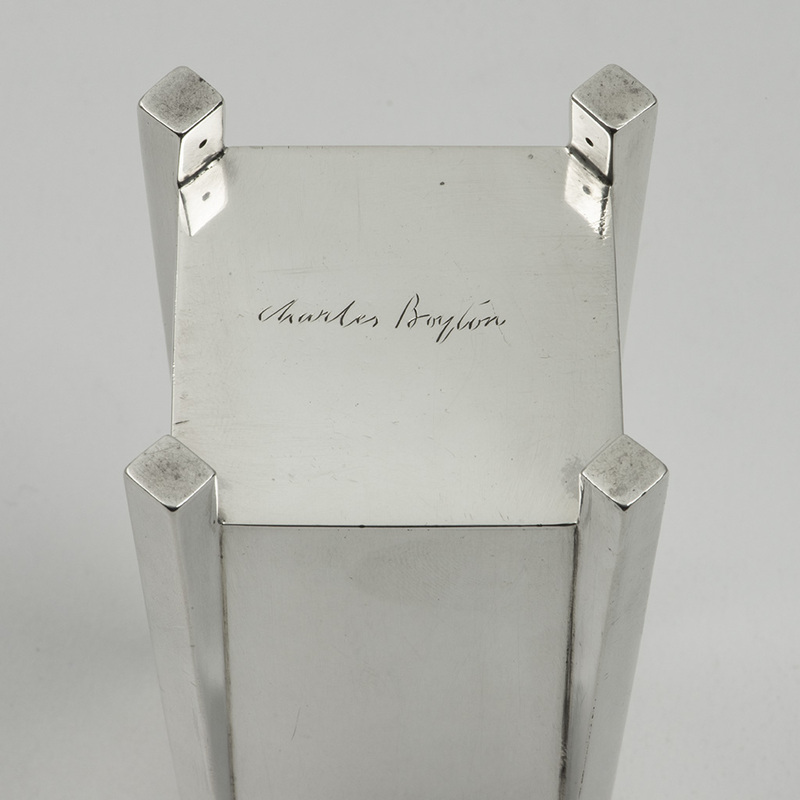 The overall weight – 497.20 gms. including the glass liner of the mustard pot. 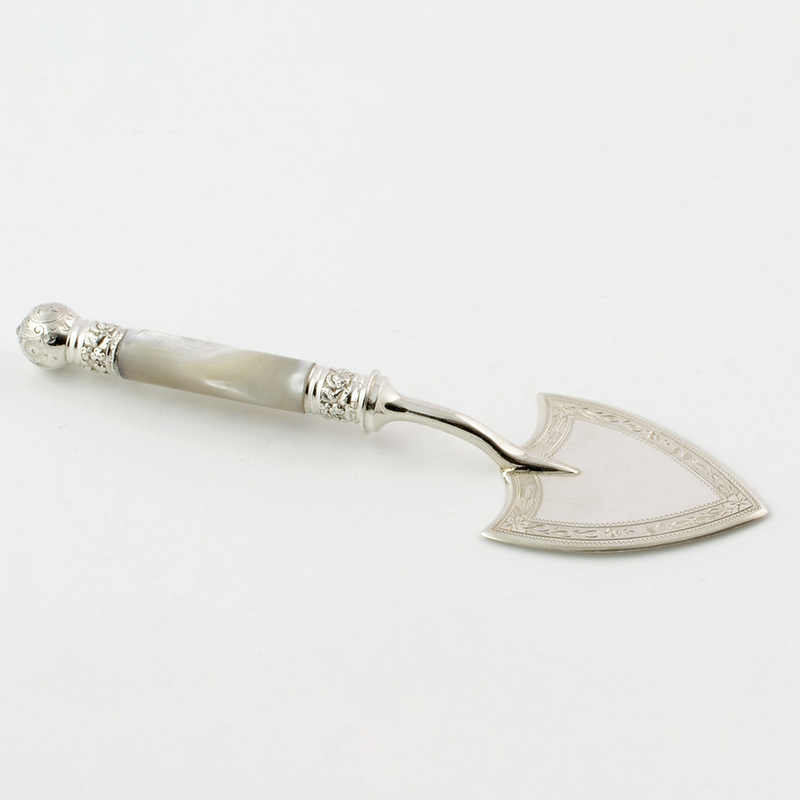 A Victorian silver Butter Spade. 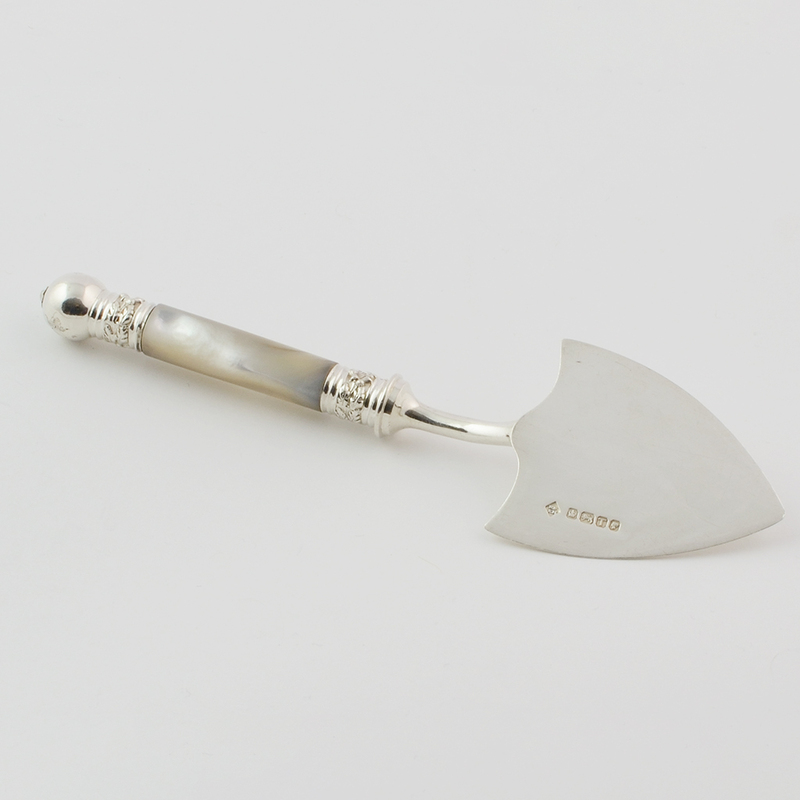 Send Enquiry for A Victorian silver Butter Spade. 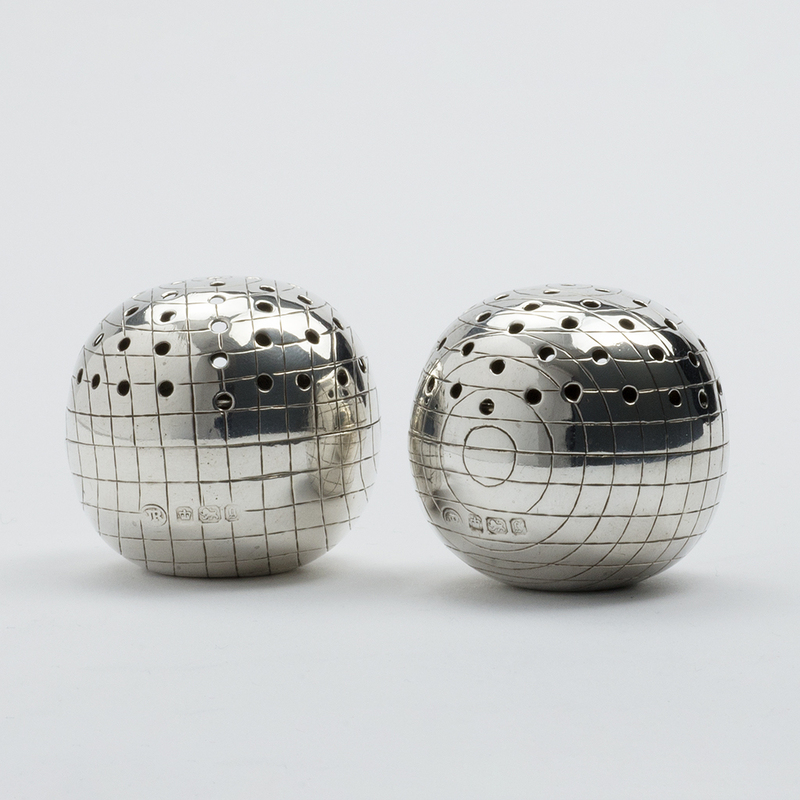 A pair of late Victorian silver Croquet Ball Pepper Pots. 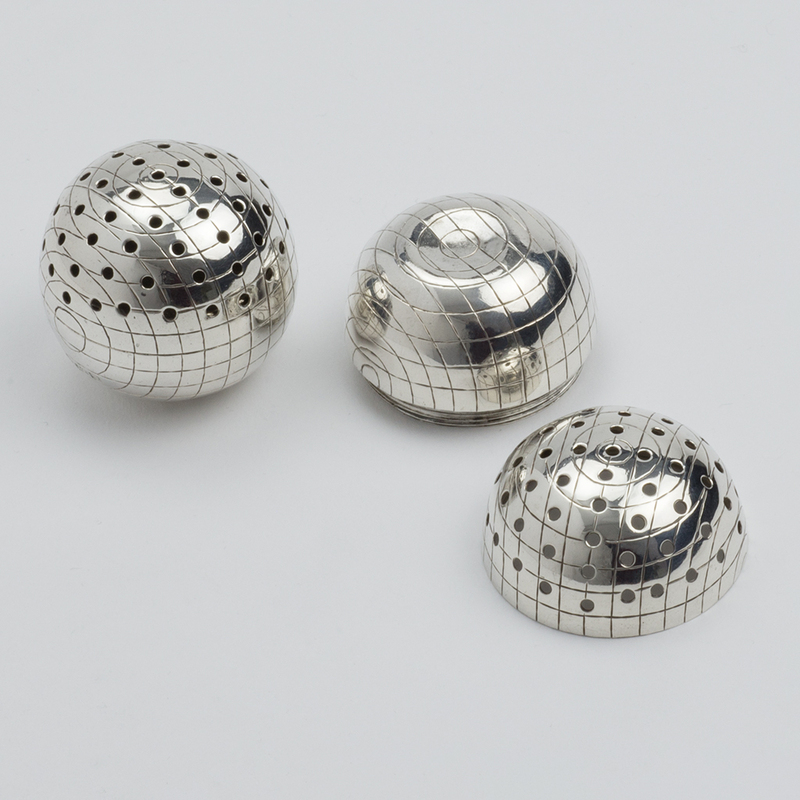 Send Enquiry for A pair of late Victorian silver Croquet Ball Pepper Pots. 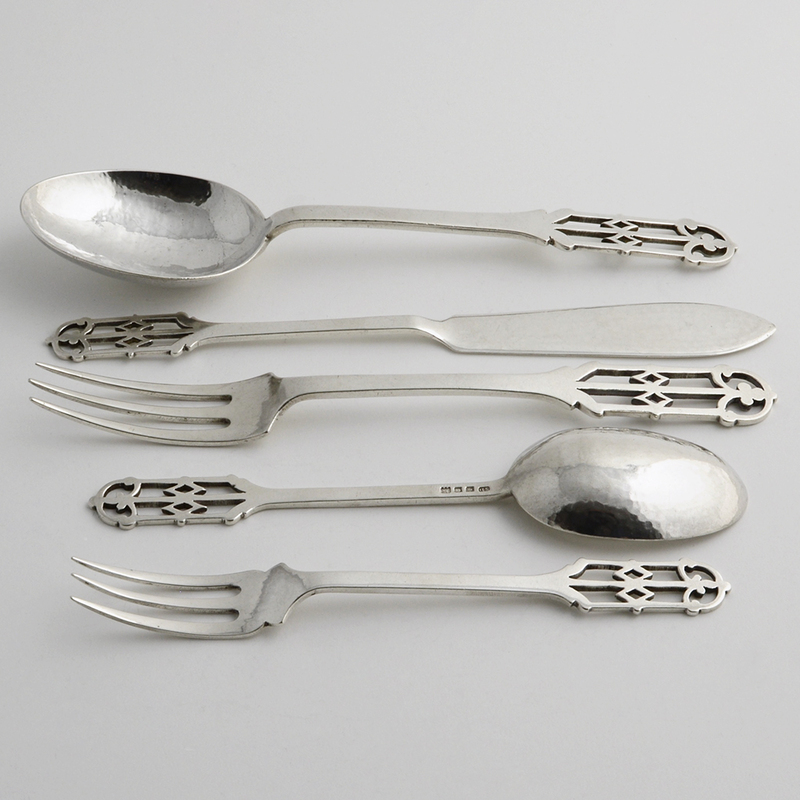 A silver Table setting by Sybil Dunlop. Send Enquiry for A silver Table setting by Sybil Dunlop. 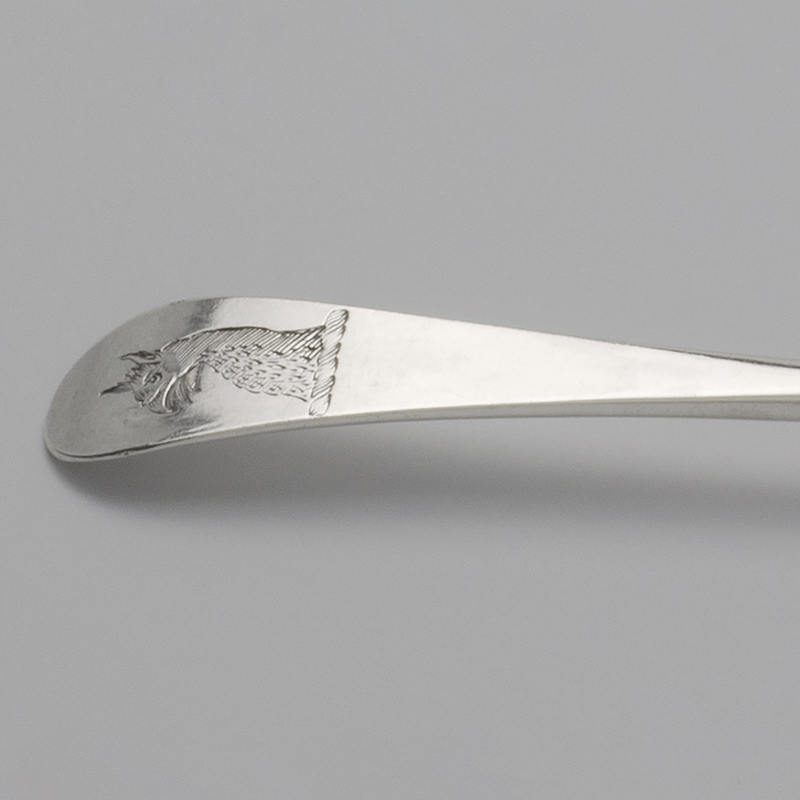 A George III silver Tablespoon. 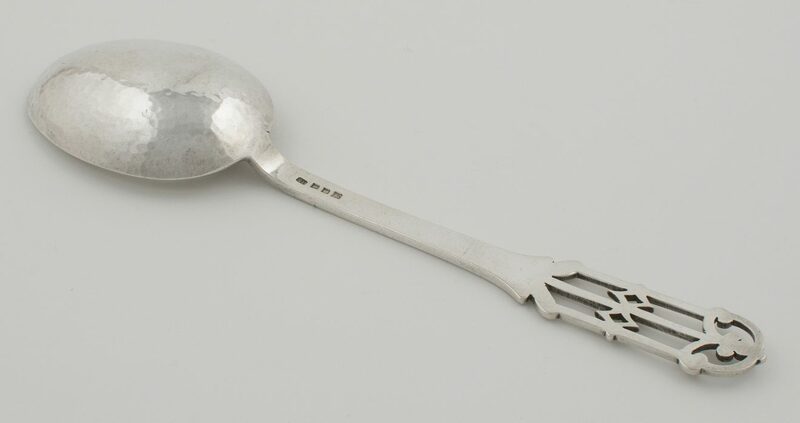 Send Enquiry for A George III silver Tablespoon. previous post: A set of four silver bi-plane Menu Holders.